I was honored and thrilled this last month to host some very special guests for a full week of site tours, meetings, and in-depth studies — a select group of Engelbart Scholars convening the week of March 9th at the Doug Engelbart Institute in Menlo Park, CA, for a “deep dive” into Doug Engelbart’s seminal work, including a tour of Doug Engelbart Archive collections at Stanford Libraries Special Collections, the Computer History Museum, and the Internet Archives. See Roster below for a complete list of folks who joined us on the tour, including an 8th grader from Portland, OR working on a documentary of Doug Engelbart for Oregon History Day project (which won her a place in the Nationals), as well as old colleagues and friends of the Engelbarts. The Engelbart Scholar Award is offered at VCU in conjunction with an experimental MOOC on Research Writing / Focused Inquiry “Thought Vectors in Concept Space” led by Dr. Campbell. This MOOC showcases the seminal work of Doug Engelbart, Ted Nelson, Alan Kay and other pioneers of the Knowledge Age to inform new horizons for research inquiry and writing in the digital age (see our University Showcase for details). In the spirit of said pioneers, the MOOC is conducted as a cMOOC (collaborative or connective rather than broadcast/consume format), as they seek to explore the frontiers of focused inquiry using (drumroll) focused inquiry in a scaleable collaborative online venue, taught by a multi-disciplinary team of six faculty members, networking not only 120 enrolled VCU undergraduates, but participants from other universities and the research community as well. Engelbart Scholar Award recipients win a scholarship that covers enrollment in this cMOOC, an all-expenses-paid trip to the Doug Engelbart Institute and other relevant sites in the San Francisco Bay Area, with Christina Engelbart and other of Doug’s long-time colleagues and archive curators. It’s an opportunity to delve into Doug Engelbart’s original source material, assist with the archive project, and conduct a focused research project that leverages and advances the Engelbart Legacy in some meaningful way. The Engelbart Scholar Award and cMOOC are a pilot experiment designed to network and replicate within other universities and learning organizations. For photos of our tour see: Photo Album A and Photo Album B.
Networked Learning as Experiential Learning, Presented at Educause Conf by Dr.
An Eighth Grader at ACCESS Academy, participant in this year’s Oregon History Day and National History Day competitions, she is producing a short documentary on Doug Engelbart, accompanied by her wonderful mom. Henry Lowood – our host at Stanford Libraries Special Collections, Curator for history of science & technology collections and film & media collections at Stanford. 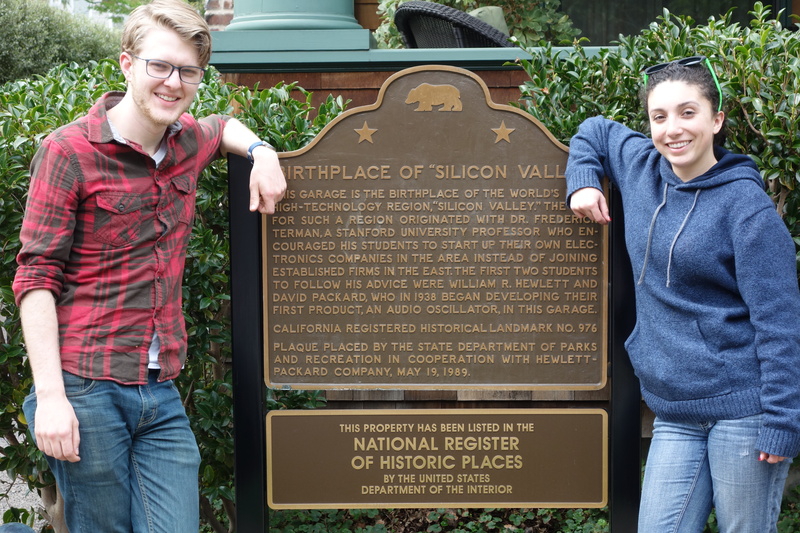 Our visit included an ‘impromptu seminar’ with Henry on the history of Silicon Valley project, followed by a deep dive into the Engelbart Archives curated there. Brewster Kahle – founding Director of the Internet Archive, the Internet Credit Union, Alexa and Thinking Machines and a member of the Internet Hall of Fame. We attended Friday Lunch at the Archive, and joined Brewster’s tour of the facility. The Internet Archive features over 100 videotaped lectures, demos and interviews from the Engelbart Archive.